A few days ago, a projection by Pew Research Center forecast that by 2050, the world Muslim population will nearly match Christians by 2050. This was reported widely as a fact in the news media, and I haven’t seen anyone contesting the figures. But if you look at the assumptions made, it becomes clear that this forecast, although purportedly scientific, is flawed. We seem to have blind faith in numbers, as they appear to convey scientific accuracy. Make a guess in accurate numbers, and people will tend to believe that you have achieved that number through some sort of scientific calculation—even when the numbers you are playing with are nothing more than a guess. That’s why, to assess a poll, survey, or projection, you need to look at how the numbers were made. If your input is bad numbers, your output will also be bad numbers. They make it sound as if they have spent serious time in assessing every number. Unfortunately, this forecast fails at the first hurdle. Will Europe lose 100 million Christians? In essence, the central premises of the forecast are that Muslims make more babies than Christians, and that Europe will become significantly less Christian. So, according to the forecast, there will be around 100 million less Christians in Europe by 2050, as Europe will become less religious. This paints a fairly pessimistic future for Christianity in Europe, and it assumes that the process of secularisation is an unstoppable force. We can’t know whether this is a reasonable assumption or not; only time will tell. 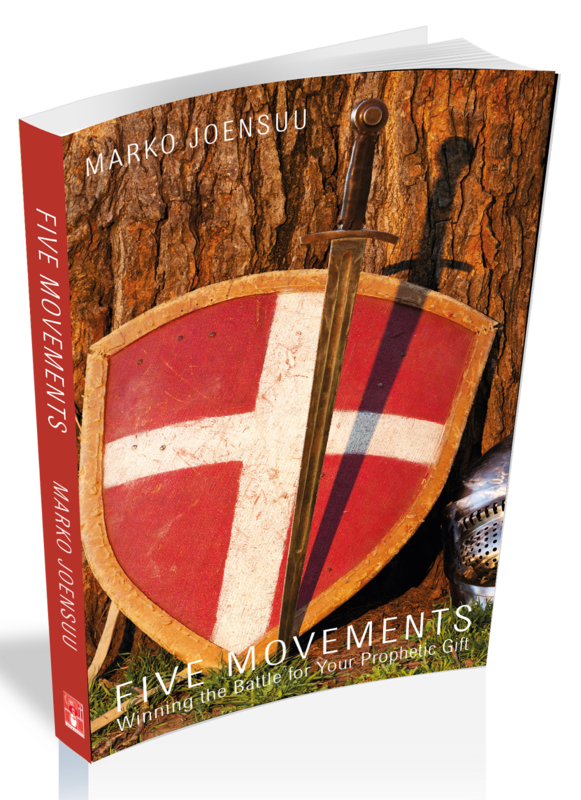 According to the forecast, there will be 40 million new converts to Christianity in the world by 2050, and with population growth, there would be around 800 million more Christians than there are now. But Islam would grow even faster because of higher fertility rates. You might think that 40 million converts seems generous, especially, as the percentage of Christians would remain the same than it is now—31.4%. But according to the forecast, 40 million converts won't be enough to offset the loss of 100 million Christians in Europe, so the conversion net loss would be 60 million. But this conversion rate is plain wrong, and shows that these researchers have no real understanding about what is really going on in the non-Western world. Let’s look at China. Prof Yang, a leading expert on religion in China, believes that there would be 160 million Christians in China by 2025. By 2030, there could be 247 million Christians in China. In 2010, there were estimated to be 67 million Christians in China. So, in 15 years, religion experts in China are expecting the number of Chinese Christians to grow by 180 million—mainly by conversion! If this projection turned out to be correct, China alone would have 4 times more converts than 40 million converts predicted by Pew Research Center. But how realistic is this Chinese projection? In 1948, there were only around 4 million Christians in China. In 2010, there were 67 million. The growth of Christianity in China is a real thing. And even if Christianity in China would grow slower than anticipated, there would still be a lot more than 40 million converts to Christianity in China by 2050. I don’t know why Pew Research Center has chosen to ignore the real and projected growth of Christianity in China. But that means that their forecast is a lot less scientific than it seems. Will no one leave Islam? According to the forecast, 12.6 million will convert to Islam, but only 9.4 million will leave Islam between 2015 and 2050. 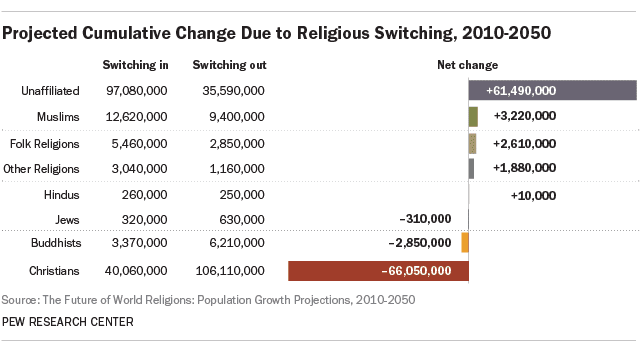 So, 100 million Christians would leave Christianity, but only 9.4 million Muslims would leave Islam? If the process of secularisation these researchers are banking on will continue, surely it should be faster with Muslims than Christians, as they are only in the beginning of it—but the researchers are assuming that hardly anyone will leave Islam. Last year, one Arabic-language Christian TV channel alone got 15 million information requests from the Middle East, mainly from Muslims interested in Christianity. That is one channel. And there are over 10 Christian TV channels in the Middle East broadcasting Christian programmes in Arabic. And we haven't even looked at the work of other Christian ministries in the Middle East. And we are not even looking at countries such as Indonesia where even according to Muslims, around 2 million people, mostly Muslims, convert to Christianity each year. In the real world, outside the study of population statistics, there has been an explosive growth of interest in Christianity in many Muslim countries. Admittedly, this interest has been camouflaged by the rising violence of Islamic extremists. But the reality is that the rising violence of Islamic extremism is in fact increasing and not decreasing the interest in Christianity in large Muslim populations around the world. 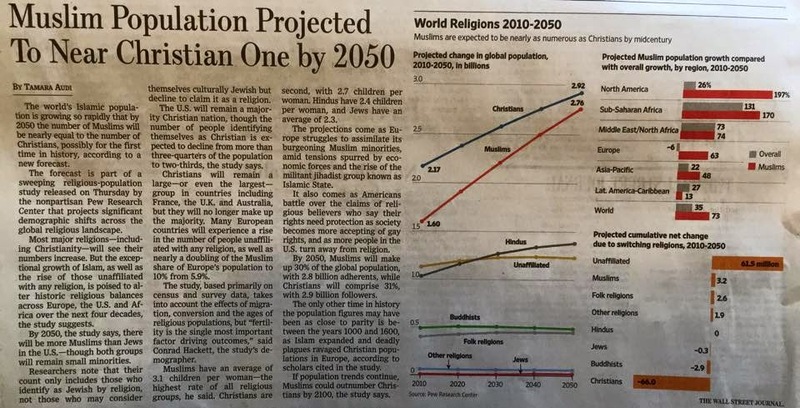 So, it seems evident that this widely published forecast isn't based on real trends at all, but on the grim state of Christianity in the West and the authors' ignorance in what is really taking place in the rest of the world. Based on the numbers in the real world, it seems that the number of Muslims leaving Islam will be a lot higher than 10 million in Indonesia alone! And these converts will be making Christian and not Muslim babies. Now I would like to see a forecast that would factor in the real conversion numbers into a forecast, as the numbers would be completely different. And we haven't even looked at conversion to Christianity in populous non-Muslim countries such as India. Agreed. Also, the conversion of Muslims into Christianity seems to have greatly accelerated since the writing of this post. Obviously, many of these conversions are still invisible when it comes to public statistics, but they are real, nevertheless.